I love competitions and I will enter each and every competition that I come across. 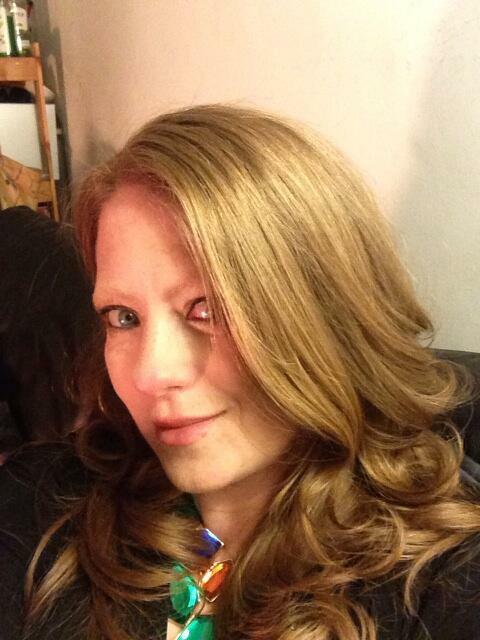 What's even better is giving my readers a chance to win some great prizes. 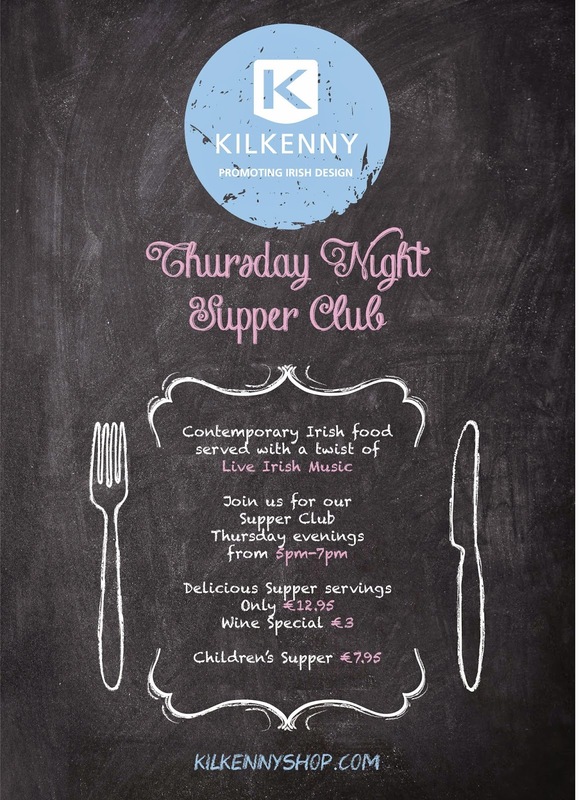 I was recently contacted by the Kilkenny Shop on Nassau Street, who are launching their Thursday Night Supper Club at the Kilkenny Café, located upstairs in the shop. The cafe serves up artisan Irish food, made fresh on-site daily for breakfast, lunch and supper. Bonus marks for the fact that most dishes are gluten-free. 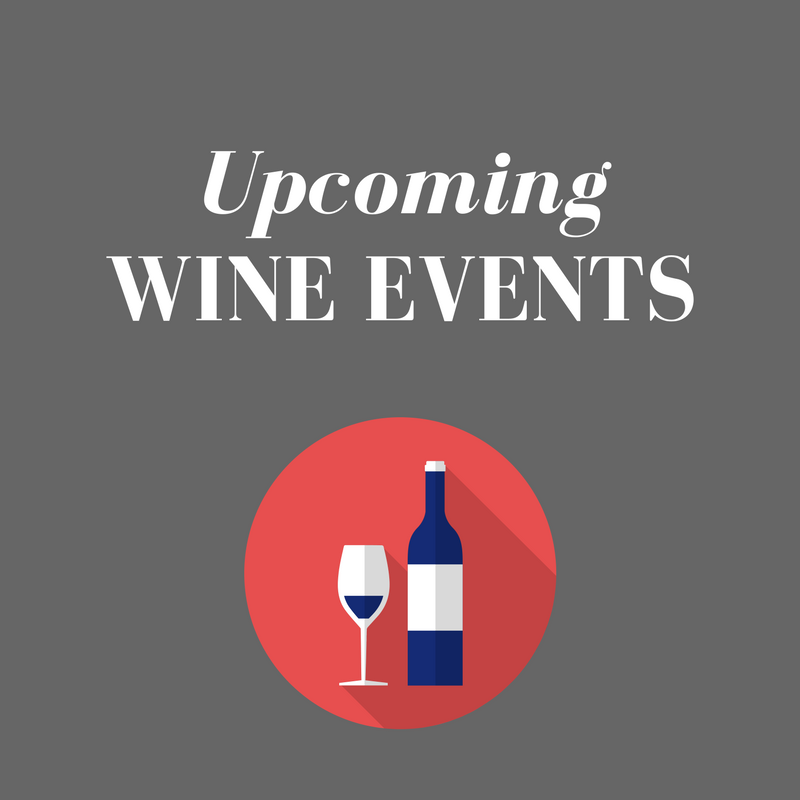 From Thursday, April 17th, the Thursday Night Supper Club will feature a supper main for €12.95 along with wine specials at €3 between 5-7pm each Thursday, along with live music throughout. To celebrate its return, Kilkenny is giving you the chance to win a delicious supper for you and 3 friends! With live music available throughout the evening, it's surely the perfect way to finish your shopping trip or simply unwind after a busy day. The prize consists of a main course and glass of wine for the winner and three friends. The Supper Club runs on Thursdays only and the prize is valid until the last Thursday in May. To be in with a chance of winning this tasty prize for you and your friends, answer the simple question below. You can either leave a comment on this blog post, or email stitchandbearblog@gmail.com. Please make sure to provide contact details, as anonymous comments can't win. Q: How much does a main course cost at the Kilkenny Café supper club? The competition will close at 8pm on Monday, April 21st and the winner will be randomly selected from all correct entries. Good luck! (Deadline extended for the Easter Bank Holiday weekend). The competition is now closed and I am in the process of contacting the lucky winner. €12.95 for a main course! I also enter all competitions I come across as I'm too broke to buy nice things!So nice to win something! €12.95 - I haven't been in to try their GF options yet so now might be my chance! €12.95, would not mind this at all, sounds fab and very enjoyable! Hello, the answer is €12.95. £12.95 What a bargain for a special evening . €12.95 great value for money, have family visiting in May too so would be a great treat! Sounds like a great place even if I don't win will definatley visit in a Thursday night!